Our mighty oak tree is a traditional symbol of wisdom, strength and endurance. With a lifespan that can last hundreds of years, our tree makes a fitting gift for milestone celebrations and truly special occasions. 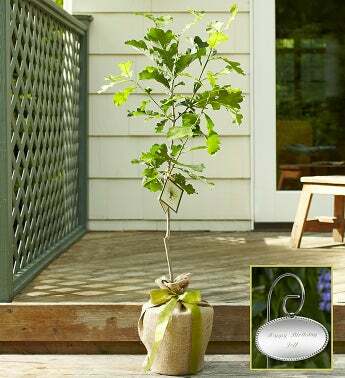 Available in multiple sizes, once planted, this proud tree will reach for the sky with graceful, shade-bearing branches, creating treasured memories to last a lifetime. For a keepsake they can cherish along with their tree, add our personalized plaque with a heartfelt message of your own.